Guinea, were on Friday, drawn with Nigeria, Madagascar and Burundi in the group stage of the 2019 Africa Cup of Nations. 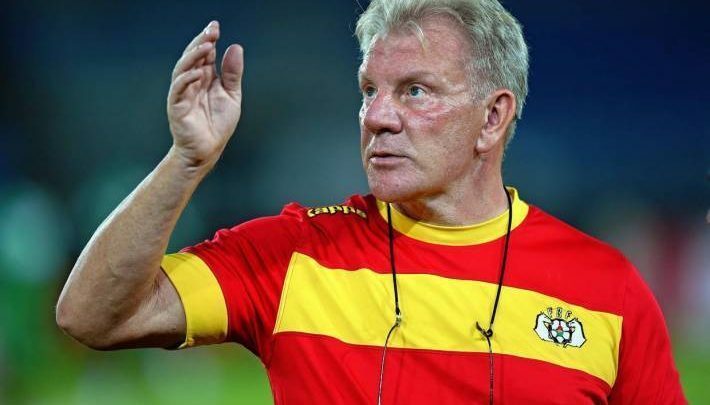 Guinea’s Belgian coach Paul Put is aware of the potential of the Super Eagles team as he was in the dugout for Burkina Faso when they lost the final of the 2013 Africa Cup of Nations. ‘’We will have to work well and respect all the teams that make up our group. Nigeria is a great team but it’s good for us too,’’Put said on CIS Radio after the draw on Friday night. The Guineans who have in their ranks Liverpool’s Naby Keïta and Napoli’s Amadou Diawara battle Nigeria at the Alexandria Stadium, Alexandria on June 26. The top two teams in each group and four third-placed teams will qualify for the round of 16 of the AFCON.